Cotton drawstring bag. Made from organic material, the drawstring bag is a great example of environmentally friendly marketing. Not so big to use for carrying sportswear and sneakers, but a perfect companion for a bike ride, to put into the water bottle, cellphone, car keys, or tissues – whatever won’t fit in the rider’s pockets. Use natural materials for your promotional bags to stress your eco-friendly policy of conducting business. Cotton towels. Branded towels are a fantastic idea for companies in the sports and hospitality industries. 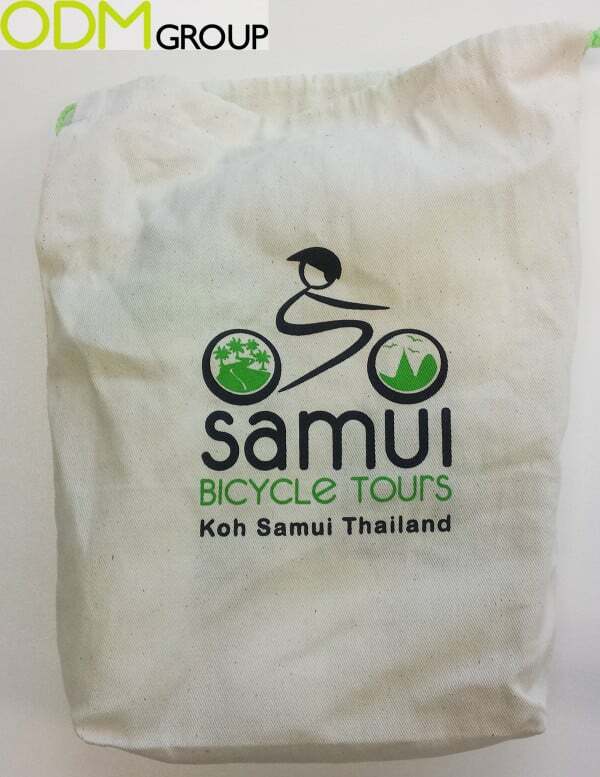 In the case with Samui Bicycle Tour, this is an example of a well-made choice for marketing gifts. It is all about targeting the right audience in the right time and place: after half a day under the heating sun, the riders will be endlessly thankful for this kind of a gift to mop their faces. Moreover, people use towels daily, making this option ideal for receiving brand exposure day in and day out. Drink Bottles. 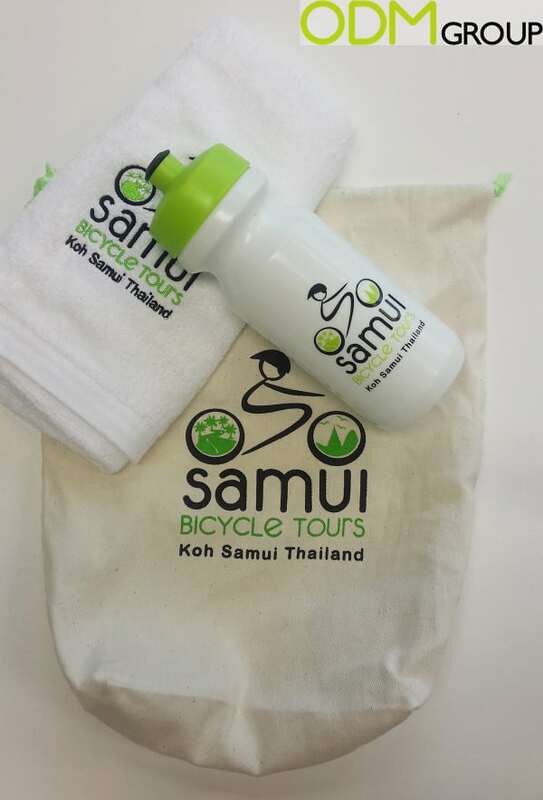 Given as gift, the water bottle will be remembered by you clients, especially if it has such a nice design as this one, branded with Samui Bicycle Tour logo. For those who especially admires this drink bottle, it can be purchased at their on-line shop. 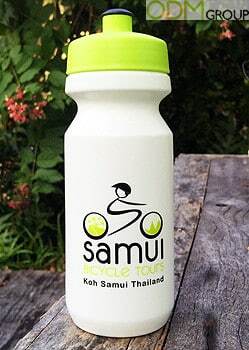 For all experienced cyclists, triathletes and mountain bikers, this is a high quality water bottle, which can be used on the tour and then taken home as a pleasant memento of the tour on Koh Samui island. Interested in eco-friendly promotional products and sports merchandise? See more blogs on the topic and feel free to contact the ODM Group to find out how we can source unique marketing products for you through Chinese manufacturers.